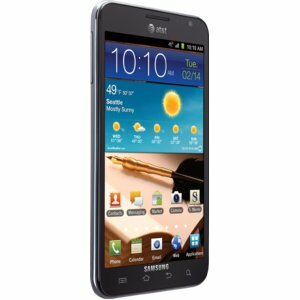 Browse > Home / AT&T / Samsung Galaxy Note Review – Is It Too Big for a Phone? The Note sports an 8 megapixel rear-facing camera that includes LED Flash and autofocus as well as four times zoom. Video capturing is also superb at high definition 1080p and 30 frames per second. The secondary, front-facing camera is 2 megapixels, which makes video chatting possible and a joyous experience. 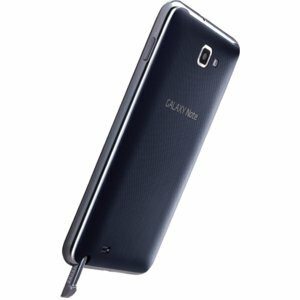 The Galaxy Note comes equipped with 16GB of internal storage, although this can be expandable to up to 32GB by way of a microSD card. There are plenty of wonderful apps included in the smartphone that are pre-installed, including Amazon Kindle, Facebook, qik Video Chat and of course, the usual AT&T bloatware. Due to the phone’s oddly large size — its dimensions measure in at 5.78 by 3.27 by 0.38 inches, with a weight of 6.45 ounces — it is equipped with a larger battery than what other smartphones boast. The battery is a 2500 mAh, although this might be considered smaller than what the Note should have in comparison to Motorola’s Droid Razr Maxx, which has a 3300 mAh battery yet is smaller. Essentially, however, with the battery, you should manage to squeeze out about a full day’s usage with the Note on a single charge. Charging should be done daily, which is generally the norm with the majority of smartphones on the market as it is. Of course, the 4G LTE connectivity may drain the battery somewhat faster, so if you absolutely require your phone to last fully throughout the day and don’t need this feature, you might want to consider disabling it periodically. In addition to being the largest phone Samsung has ever built, the Note is also the most solid in build. 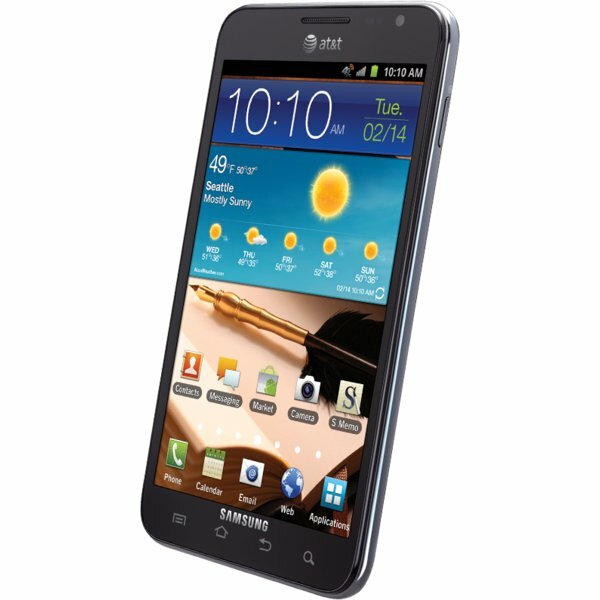 While other devices, such as the Galaxy S II have a cheap, very plastic feel, the Note is several steps up and feature better materials in its build, while feeling solid yet being lightweight all at the same time. It also has a great bezel around the edges, which feels more natural in the hand, and the screen is made from glass instead of plastic. The phone has a standard 3.5 millimeter audio jack for a set of headphones or earphones at the top left. The top right of the device is home to the power and lock/unlock button, and the volume rocker is located at the left edge. At the bottom, there is a slot that holds the S Pen, so you have easy access to it whenever you need it. With its 5.3 inch screen, you get an incredible 1280 by 800 pixel high definition resolution from the Note. This is undoubtedly one of the most attractive features of the phone. However, with that being said, there is no oleophobic coating on the screen, so you may often find fingerprint and other debris marring the display. This appears to have been an oversight by Samsung. The biggest setback of the Samsung Galaxy Note is definitely its massive size. You may notice odd looks from people if you get this phone, which may be difficult to handle if you are average sized and especially if you are a petite woman with slim hands. However, the Note is a solid device that has plenty of great things to offer.